Jeff grew up in a world of sports either watching or playing not to mention living amongst professional athletes. 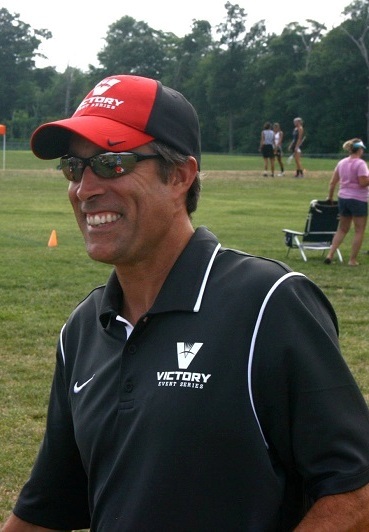 Jeff parlayed that passion into a successful career with Saint Joseph’s University, Rutgers University, the Atlantic 10 Conference, the Philadelphia Eagles and now owner of Pattison Sports Group and Founder of Healthy Kids Running Series. Jeff was a hugely successful athlete himself. After nearly winning his first mile race he carried that drive into Camden Catholic High School earning MVP honors his sophomore, junior and senior year and a scholarship to Saint Joseph’s University. After graduation Jeff earned a Graduate Assistant position in Saint Joseph’s Athletic Department then the Marketing Coordinator position at Rutgers University before landing the Director of Corporate Partnerships position at the Atlantic 10 Conference. Jeff generated over $5.1 million during his A-10 tenure and earned a reputation as a forward thinker. On January 1, 2006 Jeff became the Director of Corporate Partnerships with the Philadelphia Eagles where he generated $20,232,376 in total sales and managed over $6.1 million in partnerships per year. Also to his credit is the negotiation of the largest non exclusive team beer sponsorship in all of sports (Miller Brewing Company) and the creation of the Miller Lite Phlite Deck at Lincoln Financial Field. In November of 2008 Jeff branched out in the country’s worst economic time to open Pattison Sports Group. The focus is and continues to be Event Management, Corporate Consulting and Property Representation. Jeff’s passion remains committed to helping companies maximize and activate their sports sponsorships while leveraging 20+ years of sales experience to negotiate the best deal for his clients. He has also grown the property representation division as agency of record for local, regional and national properties. In addition to PSG, Jeff Founded Healthy Kids Running Series in 2009, a nonprofit combating increasing rates of childhood obesity which now operates in 140+ locations nationally. Jeff resides in Thornton, PA with his three sons, Jackson, Brent and Nicholas. In addition to coaching his son’s teams he is an active member of the National Sports Marketing Network and a Board Member for the US Airways Education Foundation and YouChoose.net.